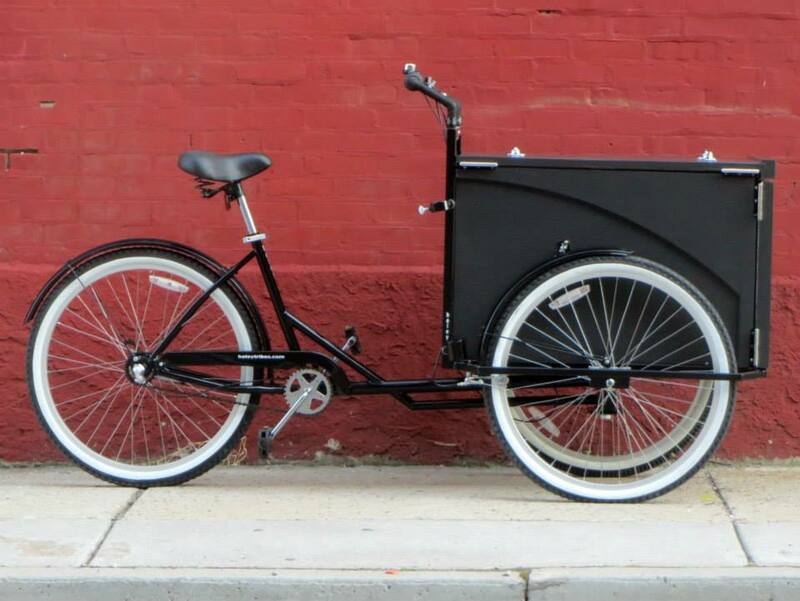 Our Book Bikes are based on our original cargo trike frame, but open up in an unexpected way to maximize display. The lid and front are split, and open up to support two side tables, with book ends at each side. 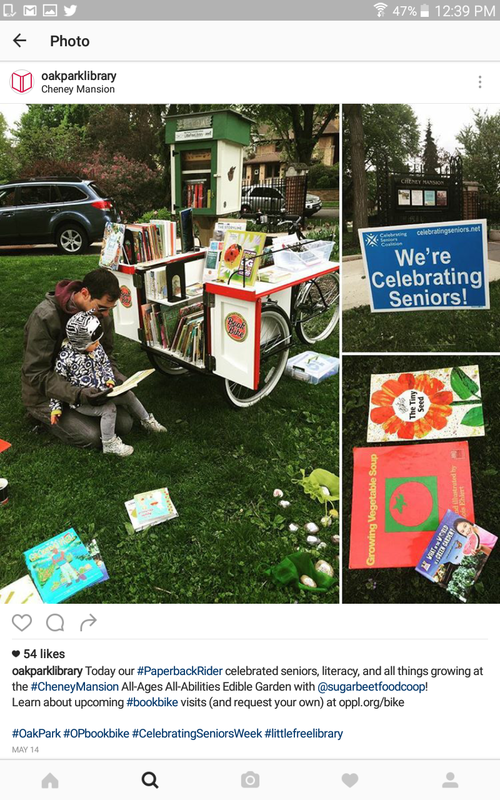 Inside the box is an adjustable L shaped book shelf, and the floor of the trike is fully exposed as well, for three levels of book display. The lowest level is particularly suited for children's books, as it's low enough for them to explore themselves, and the wheels and mechanical parts are far away from fingers. The upper level is the same height as a kitchen counter, so it's comfortable for adults as well. An umbrella holder is standard. The outside of the trike when closed is just under 32", sized to fit North American standard 36" exterior doors, so you can get in and out of the library, and almost anywhere else. 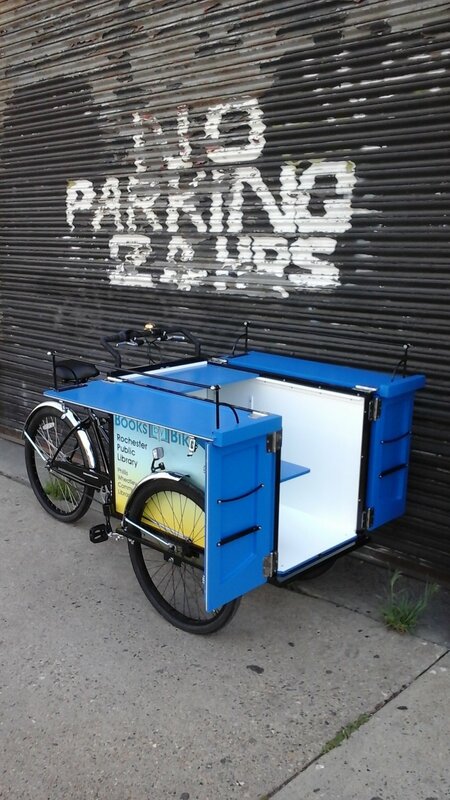 Our Technology Book Bike is 5" longer and 4" taller, with room for additional shelving. They can carry the same amount of weight; the additional volume is useful if your library will be carrying books as well as electronic equipment, like tablets, laptops, hot spots, even full sized projectors.